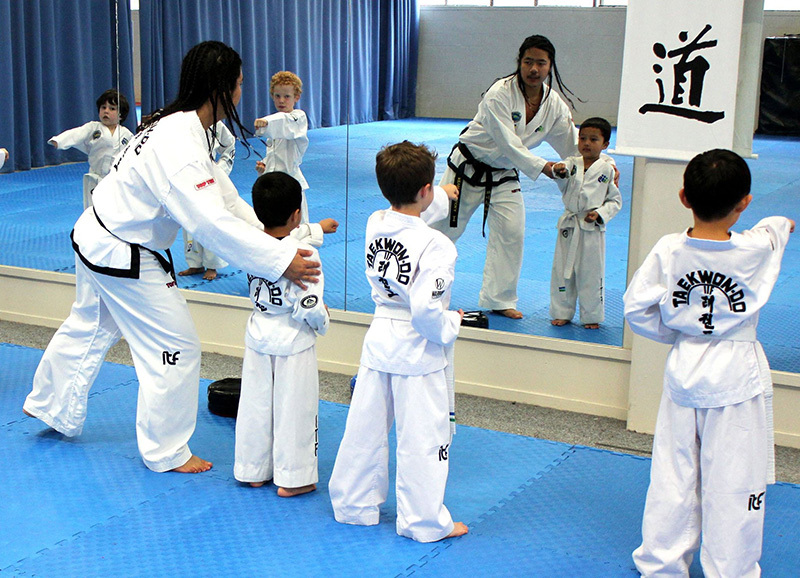 ​If you are looking for a martial art for your child you have come to the right place! International Taekwon-Do is an exciting martial art for all ages which builds confidence, teaches self-defence, increases fitness and much, much more. What Can My Child Expect? Fun and participation is encouraged, while the basic skills of Taekwon-Do are being taught. 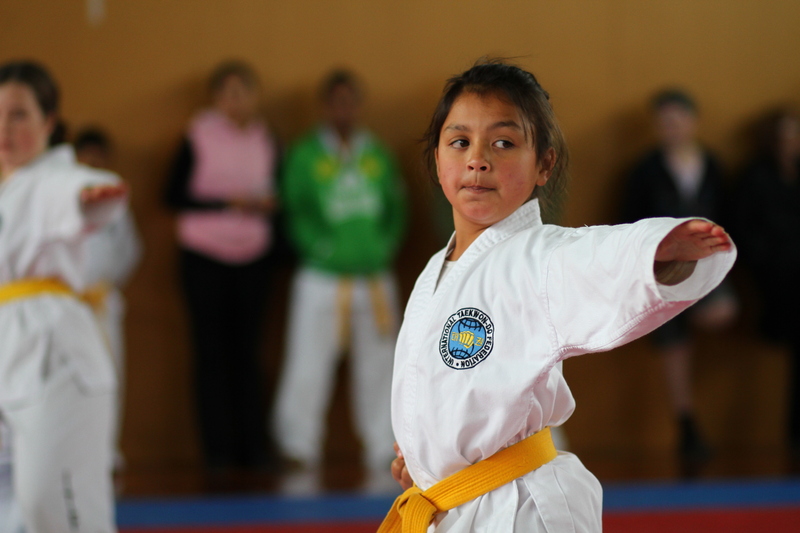 We have programs developed specifically for children which will not only teach them the skills required to complete our grading syllabus but will also help to develop their concentration, co-ordination, fitness and self-discipline. Tournaments are regularly organised for those children that enjoy competition. Entering into competitions is completely optional however and does not affect a child’s progress through the ranks. We have a special Junior Syllabus as well as Taekwon-Do Kubz and Mini-Kids which are optional programs that come with their own syllabus and manuals. The children are not taught a ‘watered down’ version of Taekwon-Do; rather they are taught the same techniques and skills that older children and adults learn in the International Taekwon-Do grading syllabus, in a carefully sequenced order, that is appropriate for their stage of physical and mental development. 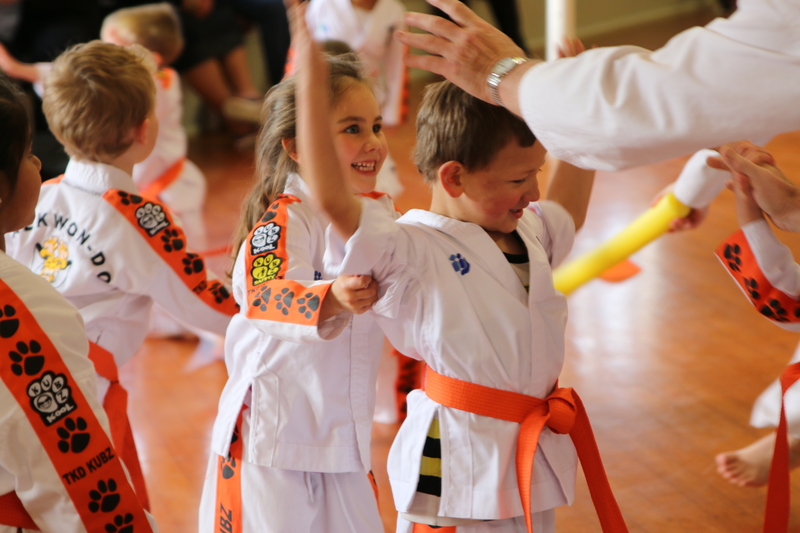 Our TKD Kubz program for 3-6 year olds focuses on developing self awareness, co-ordination, courage and safety while also supporting their physical development and associating fitness with fun. We teach Kubz to use their voice and develop confidence in their interactions with other children and adults, and help to develop their co-ordination, motor skills, balance and more through the basics of Taekwon-Do training. Kubz earn stripes and patches as their understanding of Taekwon-Do progresses. Learn more about TKD Kubz here. Our Mini-Kids syllabus is especially designed for this age group and a great way for kids aged 5-9 to start off in Taekwon-Do. The Mini-Kids curriculum progresses children into a stronger understanding of Taekwon-Do techniques. They develop fitness while learning cool moves, self-defence and having lot of fun. It promotes self-confidence, personal achievement and resilience. 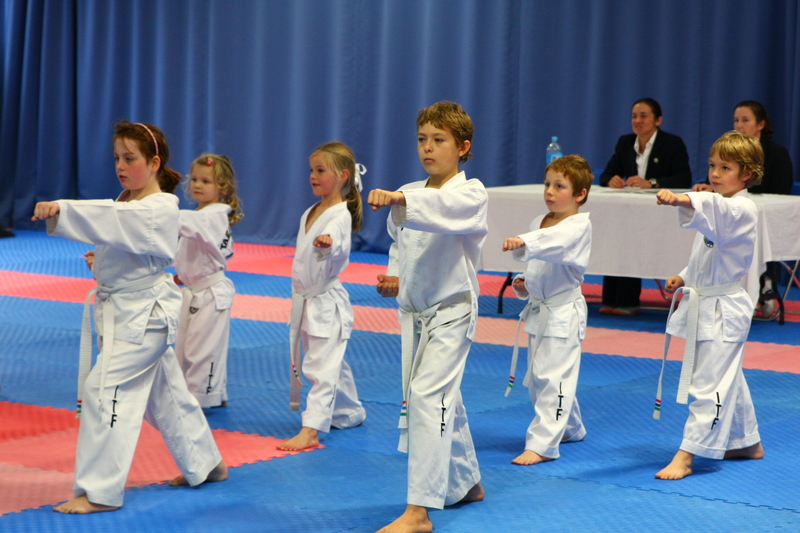 Mini-Kids earn stripes on their belt through gradings at club level to celebrate their improvements and eventually proceed to their first nationally recognised rankings. Once your child has finished the Mini-Kids syllabus they are ready to progress to the national Colour Belt Syllabus. You can learn more about our Mini-Kids program here. At an age when many kids are starting to spend a lot of time on screens, Taekwon-Do is a great way for this age group to stay active and aid their physical, mental and social development. Juniors work through a nationally recognised syllabus designed specifically for their age group, and grade two or three times a year under a national examiner. They grade from white belt to yellow, green, blue, red, and some even reach the junior black belt level while still under 18 years old. ©1996 - 2019 International Taekwon-Do Foundation of New Zealand. Please do not re-publish material without permission.